We’ve brought together the Connected Mobility Industryat Caruso Partner Connect 2018 on June 7, 2018 in Cologne! Our special event was packed with powerful use cases, digital innovation and networking opportunities: more than 250 participants from 95 companies created our Live Marketplace Experience! We were proud to have an impressive key note line-up for our main stage: Already onboarded partners demonstrated their data & services and gave insights into the benefits of connecting with Caruso and what the cooperation will look like in the future. Many thanks to telematics service provider ABAX, parts manufacturer and telematics service provider Bosch, one of Germany’s biggest wholesale cooperations CARAT,the European Association of Automotive Suppliers CLEPA, telematics service provider Connected Cars, the Eucon Group, leading provider of market information for vehicle manufacturers and automotive suppliers as well as digitization expert for insurance and real estate; our technology advisory partner Fraunhofer Institute for Experimental Software Engineering from Kaiserslautern, Fraunhofer Institute for Transportation and Infrastructure Systems from Dresden, Navads, the leading platform for managing local listings on all global digital map platforms; TecAlliance, expert for data, processes and integrated solutions in the international automotive aftermarket, Vodafone Automotive, a leading provider of automotive products and services; WESP, data analyst for workshops, spare parts manufacturers and the aftermarket. 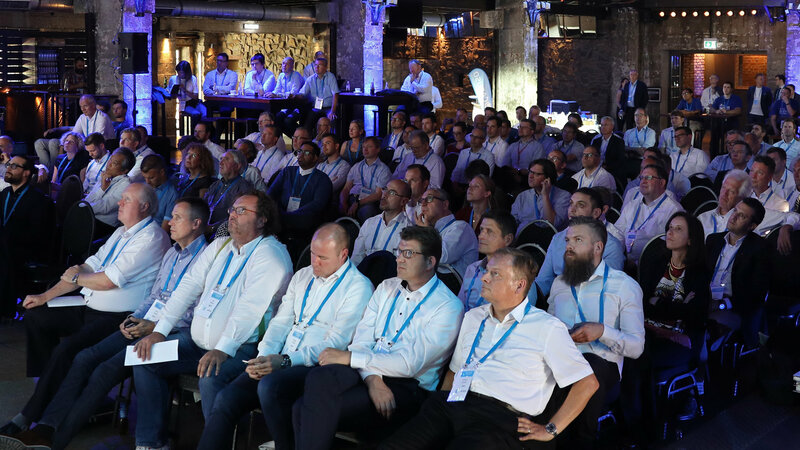 Following the keynotes, the attendees explored our Live Marketplace Experience: in this inspiring atmosphere, the Connected Mobility Industry representatives were able to connect and exchange with existing as well as potential Caruso partners. Previous PostCaruso Sales is hitting New York! Next PostRoad to success: We are welcoming three new shareholders on board!